24 hour Taxi Service in Lake Tahoe CA NV. Yellow Cab Company is the South Lake Tahoe’s #1 Choice for Taxi transportation Service Since 1985. 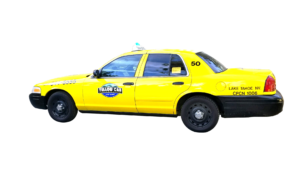 Yellow Cab Company is South Lake Tahoe’s premier transportation service. We provide the following transportation services, We provide service from NV. to NV. California from California to any destination: services, We provide service in Nevada and California on both Sides. Fully Licensed. CPCN 1006. Let Yellow Cab take you to and from your destinations, and don’t get stuck paying hidden mileage and gas costs or surge costs with rental car companies and ride share companies. So the next time you are in South Lake Tahoe, CA or the surrounding areas and need ground taxi service transportation call Yellow Cab Company. Yellow Cab Company is a unique taxi service company that prides in excellent service delivery. Our fleet of vehicles are properly maintained to ensure that our clients can enjoy a seamless ride to their destination. You can count on our efficient service to handle your transportation needs that include, airport transportation, business travels and meetings, site seeing, wedding ceremonies, birthday parties, and corporate trips etc.